The Glenlivet Founder's Reserve is crafted in Moray, Scotland, using the same techniques that have made Glenlivet the longest-lasting scotch distillery in the entire world. With water from fresh mountain streams and the finest malted barley available anywhere, the Founder's Reserve is crafted in uniquely shaped copper stills that create a light-colored, fruity flavor. The aging process is what makes The Glenlivet Founder's Reserve different from other scotches. In addition to the traditional oak cask, this whisky is aged for a period of time in an American first fill cask to add a sweet and creamy finish. At the end of a long day, you can reward yourself with a glass of Founder's Reserve served neat. Or, you can pour this scotch whisky over ice to enhance its already memorable flavor. 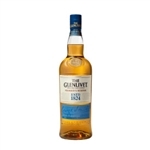 There's arguably no scotch single malt whisky more reliable than The Glenlivet 12 Years of Age. This is a standout in the Glenlivet family you can count on for virtually any meal pairing. Introducing the first 12-Year Old limited-edition release from The Glenlivet in the U.S.
Aberlour 12 Year Old single malt scotch whisky combines rich, spicy, and sweet notes. The double cask maturation process plus seasoned sherry butts and traditional oak influence the subtly balanced flavor of this rewardingly complex spirit.